I have been meaning to post this for a while (via the superb Swiss Miss who garnered it from the Beard Revue). Did you know that there’s a beard and mustache championship with their own website? Oh and blog too?! Here’s a doctored photo I found of Obama with a beard….strange. I hope he doesn’t get stressed out too much during his presidency and wind up looking like this. oh I’m partial to the la souvarov….so many lovely choices. 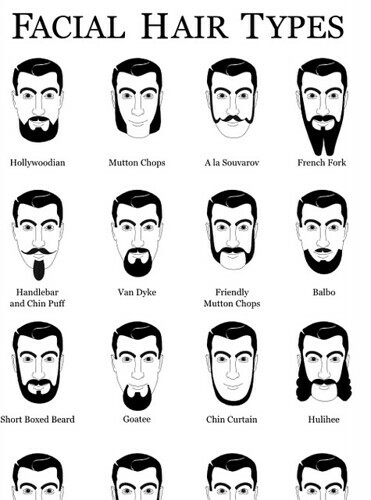 I know…especially the mutton chops! oh that’s genius!!!! Thank you! well, I’m going to have to post some of those fab photos….thanks so much for the scoop! i so want to get a print of this and put it in my bathroom! it’s perfect for a chuckle….but might dangerously inspire your husband to grow huge chops and a stache. I don’t have prints of the beard chart, but I do have a brand spankin’ new, technicolor, Glaser-esque beard print you can get. I think you guys might love it. Check it out here. that’s fantastic! I love it. I’ll alert my readers. Thanks! who knew there was a championship?! It’s too funny. He should enter!! What I have is a Hulihee. Never knew there was a name for it. send over a picture if you would like for me to post it. Who knows maybe you’ll get scouted by a moustache team somewhere? !